On Wednesday night May 10, 1967 promoter Ed Francis presented a wrestling card featuring a big grudge match between former partners Johnny Barend and Hans Mortier at the Civic Auditorium. 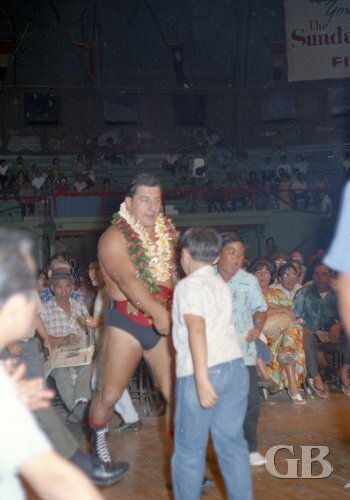 In the opening match, Curtis Iaukea defeated Paul Diamond. Diamond won the first fall when Iaukea was counted out of the ring. 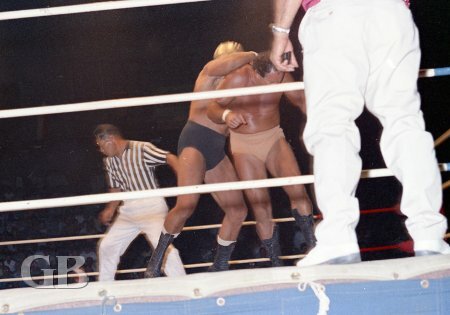 Iaukea evened the match by taking the second fall with 2 elbow smashes and his “Big Splash.” Iaukea was awarded the match when Paul Diamond was unable to continue after the second fall. The next match was a tag team match between judo experts Kongozan and Harry Fujiwara vs. Karl Gotch and Beauregarde. This match to be televised and was 2 out of 3 falls to a television curfew. Gotch took the first fall with a double leg nelson on Kongozan. Harry Fujiwara evened the match with a “Bombs Away” on Beauregarde. After the television curfew ran out without a third fall, the match was declared a draw. The third match of the evening was for the Hawaiian Championship with the challenger Ripper Collins going up against reigning champion Gentleman Jim Hady. The first fall went to Ripper Collins with a stomps and a “Big Splash.” Jim Hady took the second fall with an Alligator Clutch on Collins. 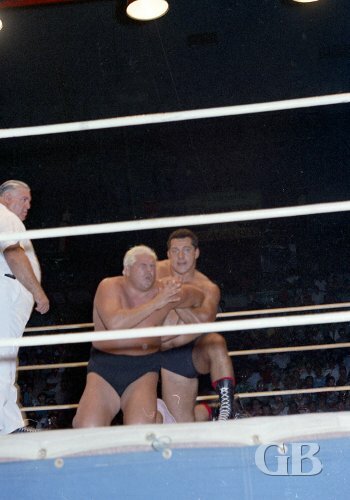 The match was declared a draw when both men were counted out of the ring. Jim Hady successfully retained his title. Jim Hady greets fans on the way to the ring. Jim Hady delivers a blow to a stunned Ripper Collins. Jim Hady applies a punishing hammer lock on Ripper Collins. The main event was a grudge match between Johnny Barend and his ex-partner Hans Mortier. This match was for 2 out of 3 falls to a 1 hour time limit. Barend took the first fall with a flying scissors. Mortier countered with a claw hold to take the second fall and even things up. The match ended when Johnny Barend surprised Mortier with a hard right to the jaw while coming off the ropes. Barend stunned Mortier and applied a body press the win the fall and the match. Hans Mortier pounds away on the back of Johnny Barend. Barend ignores the ref while dishing out more punishment on a weakened Mortier.